In 2008, Lyon College installed an 18-hole disc golf course. Unlike regular golf, disc golf is played using flying discs thrown by the golfer. Much like regular golf, the object of disc golf is to walk a course from beginning to end in the fewest number of throws of the disc. Each of the holes on Lyon's course has a sign illustrating the layout at the tee box. Each hole is a Par 3 and can be played in six, nine or full 18-hole increments. The course is open year-round. 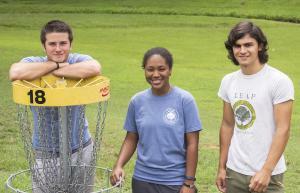 The Lyon College Disc Golf Course is free to play and open to the public. 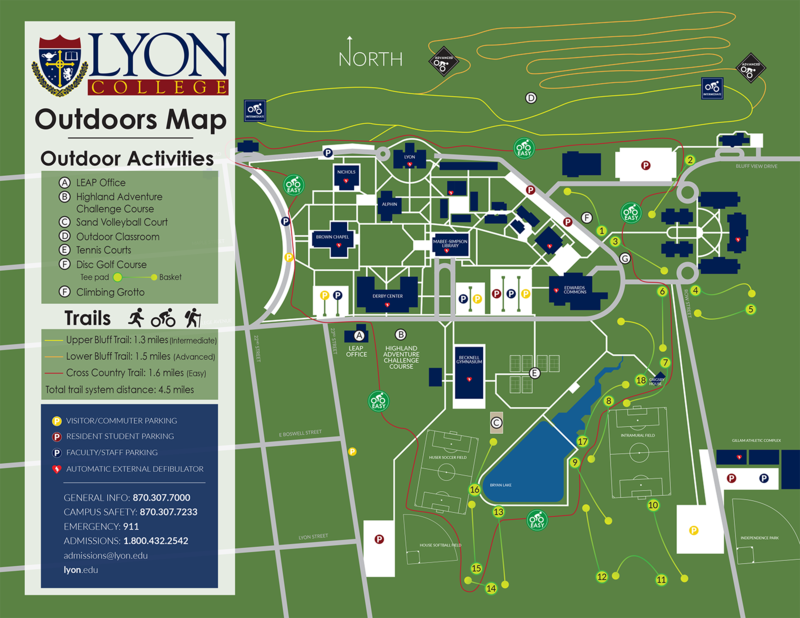 Maps of the course, as well as a wide array of discs and specialty discs, are available in The Scot Shop and Lyon Education & Adventure Program Office. Charts describing the characteristics of each disc and its flight patterns are also available at the bookstore.